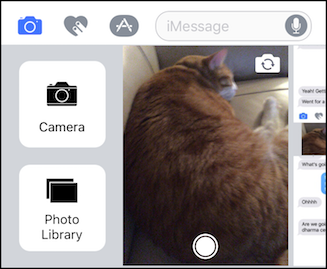 In iOS 10, Apple made a change to how you take and attach photos in iMessage. It’s a small change but it might take you a moment, or five, to figure it out. First, open Messages, then open a thread as if you mean to send a new message. Tap the camera icon in the lower-left corner. 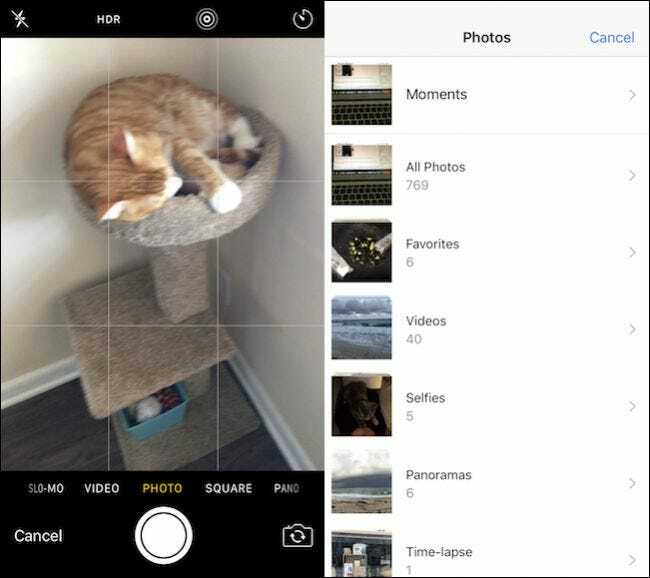 Up will pop a tiny view of your camera, and thumbnails of your photo library. From here you can take a photo to add it to your message, or browse your library for an existing photo. Tap as you might, though, you can’t make the camera full size, and those thumbnails might take awhile to find something from a while back. There has to be a better way. Note the gray bar along the left screen edge. You can tap this bar, but it’s easier to drag it right to reveal the Camera and Photo Library buttons. Now you can access the full-screen camera or conveniently browse through your photo library. 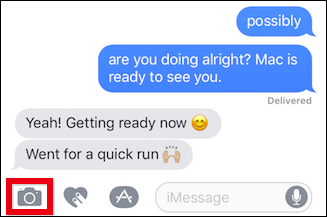 Once you take or select a photo, it’ll appear in your iMessage. 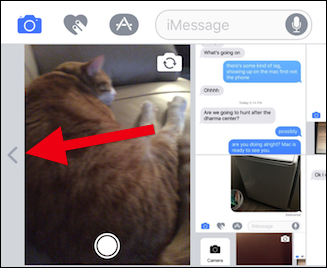 It would nice if Apple would just let us tap the camera thumbnail to open it, but now at least you’re not stuck scratching your head.